DevelopmentLeads.com keeps you up-to-date with new and updated leads Tuesdays & Fridays. 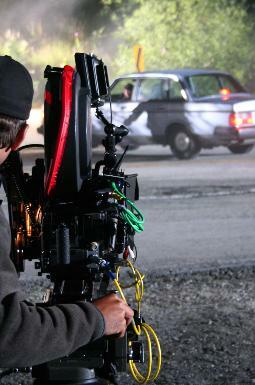 DevelopmentLeads.com tracks film and television projects for industry businesses and trade organizations. Our Members include major film studios, special effects houses, equipment rental companies, film commissions, agents and others who need to know how to reach the key decision makers on active film and television productions. Through the DevelopmentLeads.com online master database, Members gain access to hard to find research information on thousands of film and television projects in development, pre-production and production. Since 1992, we have provided quality leads helping our clients sell or rent their products, services, facilities and locations to production companies working on major and independent feature films, TV shows and other productions. To learn more about our service, visit the Subscription Information page. Or contact us at 818.776.2800. Copyright 1999-2019 Studiolot Publishing. All rights reserved.